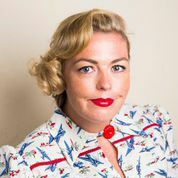 Food and drink critic Myffy Rigby has been appointed editor of Fairfax Media’s Good Food Guides and creative director for The Sydney Morning Herald Good Food Month presented by Citi. In addition, The Age Good Food Guide welcomes Gemima Cody as its new co-editor, working with existing editor Roslyn Grundy. Cody joined the team in October as chief restaurant reviewer for Good Food Epicure and now also becomes creative director for The Age Good Food Month presented by Citi. Rigby has worked in food for nearly two decades as a cook, journalist, editor and events host, and at Fairfax will also work across the The Sydney Morning Herald Pyrmont Growers’ Market and NSW Food & Wine Festival presented by Citi. She was national chief food and drink critic for Time Out Australia and appears on several radio and television programs, including as a guest judge on Masterchef Australia. She has also judged the World’s 50 Best Restaurants, the World’s 50 Best Bars, and various national cocktail competitions. She has travelled widely and hosted countless events, including Melbourne Food and Wine Festival, What a Wonderful World and Taste of Sydney. In Western Australia,Gail Williams, former Food Editor of the Sunday Times, has joined theWAToday team in Perth as its restaurant reviewer. Williams’ local knowledge will be invaluable when Good Food Month launches in Perth in 2015. In Queensland, Natascha Mirosch, the chief reviewer and editor of The Brisbane Times Good Food Guide, will continue to drive the creative direction of the Brisbane Times Good Food Month presented by Citi, while Rigby will work closely with the food and wine editor of The Canberra Times, Natasha Rudra, on our inaugural Good Food Month in Canberra. Fairfax Media national editor Food and Drink Kate Cox said: “All of these appointments signal an increased investment and presence in the food and drink vertical. These new appointments will further grow our position in 2015 across events, in our Good Food sections and on Australia’s most respected food site, goodfood.com.au. “Outstanding editorial talent makes Fairfax Australia’s leading food and drink vertical publisher, and Myffy is a stellar addition to our team. Commenting on her appointment, Myffy Rigby said: “I’ve been reviewing restaurants for going on a decade now and my passion is, and always has been, good times – whether that’s at a party, an awards ceremony, or reading a review. Fairfax Media’s Good Food Guides rate the top restaurants in their respective states, with thousands of new, independent reviews every year. Rigby joins Fairfax Media in January, 2015.